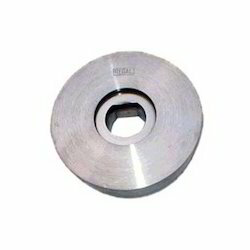 Offering you a complete choice of products which include carbide shaped dies. Owing to our expertise in this domain, we are providing a wide gamut of Carbide Shaped Dies or Profiled dies or sectional dies to our clients. The offered special carbide dies are fabricated using the finest quality raw material and cutting-edge technology. Our offered range is highly acknowledged by the clients for its salient attributes such as precision engineered, longer service life, sturdy construction and corrosion resistance. Looking for Carbide Shaped Dies ?